When you promote other people’s products and services on your website through display ads and affiliate offers, you only get to keep a small fraction of the revenue generated by your website. When an advertiser pays to place an ad on your website, they will generally expect to earn a minimum three times what they pay for their ads back in sales. If an advertiser is spending $10.00 in ads through Google AdWords to place ads on your website’s AdSense units, they expect to earn back between $30.00 and $50.00 in revenue. Of course, you only get to keep around $7.00 of the $10.00 spent on your website because Google keeps a percentage of your advertising revenue. If your website makes $1.00 for every click-through to an advertiser’s website through Google AdSense, your advertisers are making between $4.25 (3x return on ad-spend) and $7.15 (5x return on ad-spend) per click. I don’t know about you, but I would much rather be making between $4.00 per click and $7.00 per click than $1.00 per click. The way that you can capture the full monetary value that you are delivering to your advertisers is to develop your own products and services that supplant the products and services sold by your advertisers. When you place ads on your website, you only do marketing work and capture between 15% and 25% of the value that you create for your advertisers. When you create your own products and services, you do 100% of the work involved with marketing, product design, creation, operations, delivery and customer support, but you also keep 100% of the value that you would otherwise be sending to your advertisers. Product creation is a lot more work than simply running ads on your website, but it can also be a lot more lucrative. I’m not suggesting that deciding between placing advertisements on your website or selling your own products and services is mutually exclusive. Eventually, you will probably run ads on your website and sell your own products and services to your customers. Most information-driven businesses are not zero-sum. Just because a member of your audience buys something from one of your advertisers does not mean that they won’t also buy something from you. By selling a mix of your own products and promoting the products and services of advertisers, you can earn a healthy income from your own products while maintaining the income diversity that running advertisements on your website affords. What are digital products and services? In the world of content-driven online businesses, digital products are packaged educational content that teacher buyers how to do something. Chris Guillebeau’s unconventional guides (www.unconventionalguides.com) are great examples of digital products that are produced and marketed well. Chris Guillebeau made a name for himself by visiting every country in the world over a period of about 11 years. He used the expertise he learned while traveling to produce a guide called Upgrade Unlocked (www.upgradeunlocked.com) that teaches readers to get free airline tickets and hotel bookings by earning rewards points using creative strategies, such as credit card sign-up bonuses. Guillebeau currently sells nine unconventional guides that teach readers about business, travel and personal freedom. 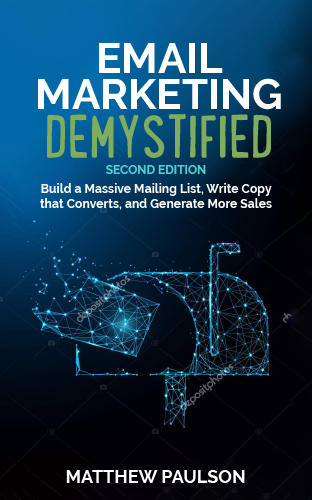 Each guide contains well-produced and well-researched PDF document that is about 100 pages long along with a number of other pieces of bonus content. Each guide is available at three different price points that tend to range between $39.00 and $97.00 with different features and benefits at each price point. Guillebeau uses a service called Gumroad (www.gumroad.com) to handle the sale, payment processing and delivery of his digital products. E-Books and PDF Guides – E-books and guides are the most common type of digital product that get sold online. 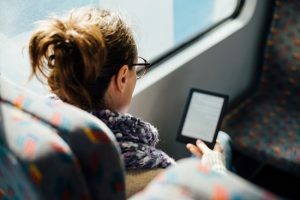 Because they are relatively inexpensive to produce and sell, many online entrepreneurs sell an e-book or a guide as their first digital products. You can usually outline and write an e-book or guide yourself, and sales tools like Gumroad make selling and delivering digital products very easy. E-Books can sell between $0.99 and $9.99 through e-book retailers like Amazon. When you sell e-books through your own website and include add-on bonuses, that price point can easily jump to between $19.00 and $99.00. Online Courses – Online courses are the next step up from a PDF Guide. Usually an online course involves recording a series of videos of yourself or a PowerPoint presentation that contains the key bullet points of each presentation. Online courses should teach participants to complete a specific class, such as how to publish a book on Amazon Kindle or how to build a treehouse in your back yard. Prices for broad market courses tend to range between $19.00 and $99.00. In some specific niches, such as business training, online courses can sell for much higher price points. I once paid $2,000 for an online course, because I knew I would get far more than $2,000 worth of value out of that course. Online courses can be sold directly through your website or through one of many online educational platforms, such as SkillShare (www.skillshare.com) or Udemy (www.udemy.com). To view examples of courses that are well put-together, I suggest reviewing some of the best-selling courses on Udemy, such as “An Entire MBA in 1 Course,” which can be viewed at https://www.udemy.com/an-entire-mba-in-1-courseaward-winning-business-school-prof/). Coaching Calls – People that are your biggest fans will be willing to pay to have access to you, whether that be through an individual coaching call over the phone or on Skype or through a group coaching call where you take questions from multiple people over the course of about an hour. Typically, coaching calls are sold in a package of multiple sessions over the course of several weeks. For example, you might sell a 1-hour bi-weekly coaching call over the course of 12 weeks. Bi-weekly calls allow your customers to have time between each of your calls work on whatever project they are working on related to your niche. The price that you can charge for coaching calls will depend largely on how big your audience is and what niche you’re in. On the low-end, you might charge $50.00 per hour for someone to talk to you on the phone. Some high-end consultants charge as much as $1,000.00 per hour to talk to them on the phone. Freelancing and Productized Consulting – If you have a valuable skill, such as web design, graphic design, audio editing, writing, editing or programming, you can always sell your time for money. While I’m not a big fan of doing freelance work, many online entrepreneurs do freelancing work when they are just getting started to generate some early revenue. A better way to do freelancing work is productized consulting, which sells a standardized service for a fixed fee. Productized consulting allows you to create teams and systems to handle orders, which allows you to eventually take yourself out of the equation. Kudu (www.kudu.io) is an example of a productized consulting service that manages your Google AdWords account for a fixed monthly fee. Templates and Themes – If you are a graphic designer or a web designer, you have the opportunity to sell WordPress themes, logos, patterns, brushes and other web elements through websites like Theme Forest (www.themeforest.net). WordPress themes often sell for between $10.00 and $30.00 and logo templates often sell for between $5.00 and $20.00. The highest-grossing WordPress theme on Theme Forest has generated more than $200,000 in sales to date. Subscriptions and Membership Websites – Membership websites charge subscribers a fixed monthly fee to access a private community and content that is only available to subscribers. Membership websites tend to charge between $5.00 and $100.00 per month, depending on the industry and what’s included in the membership. A good example of a membership website is The Dynamite Circle (http://www.tropicalmba.com/dc/), an online community of location-independent entrepreneurs that includes a discussion forum, mastermind groups and a few in-person events each year. Software-as-a-Service – Software-as-a-Service, more commonly known as SaaS, is web-based software that users pay a recurring monthly fee to access. MailChimp, DropBox and Survey Monkey are examples of companies that use software-as-a-service as their business model. Many online entrepreneurs love the idea of SaaS because of the revenue model. Most digital products create revenue for your business once for each customer, but SaaS creates a reliable monthly stream of income that comes whether or not you attract any new customers. SaaS can be incredibly lucrative, but it can also be a lot of work to develop a SaaS product that people want to pay for. I would only consider creating a SaaS product after you have successfully created other types of digital products.